I couldn’t tell you how many times I’ve been asked this question and although plank variations are highly effective at strengthening the inner and outer core if executed correctly, this exercise works all core musculature in one movement with astounding results. The action itself mimics the hula hoop motion of yesteryear, maximising hip rotation through a loaded centrifugal force. The piece of equipment that is used for the exercise is a relatively new functional strength training tool which has been in the wrestling world for years. As soon as this doughnut-shaped bag of sand caught my eye at the Fitpro convention in Loughborough 6 years ago, I immediately wanted to grab one and jump straight on the training course. The Bulgarian Bag has now filtered into mainstream gyms across the country so if you still haven’t used one, you’re missing out. And the best exercise for a slimmer waist? 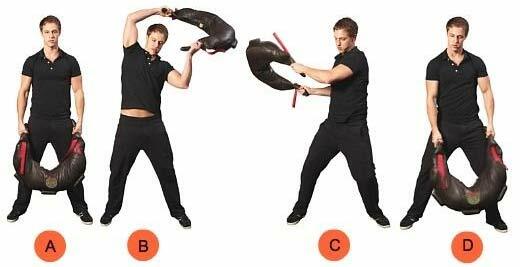 Start with a light bag (5kg for women, 8kg for men) and practice the spin technique with three sets of 20 each side. Once you’ve mastered the technique, incorporate the spin into your usual workout regime hitting five sets of 20 reps each side. You’ll never see results like it! 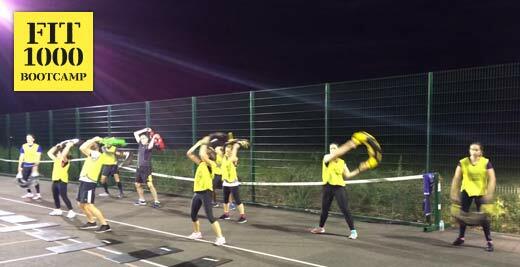 If you want to experience it for yourself, come along to FIT1000 boot camp where the Bulgarian Bag and ViPR are our trademark!